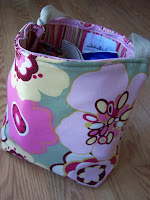 It is time for another EtsyInspired Challenge! This week we celebrate our 40th challenge with a stylish, eco-friendly shop, Naturally Felt. I know I am always looking for ways that I can be more 'green' and Naturally Felt is filled with great reusable sandwich and lunch bags in lots of fun and stylish fabrics. Take a peek! 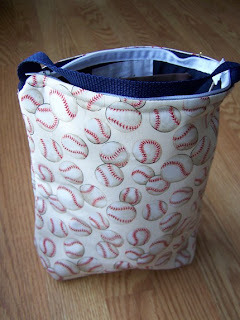 And look at this great lunch bag...how perfect would this be for a boy! Naturally Felt's lunch bags are fully insulated to help keep your food cold for hours. And then visit Naturally Felt to find something that inspires you, create a project based on that inspiration and come back here to link your creation up to this post by Friday, June 19th at noon PST for your chance to win this week's prize. Want to know what you're playing for?! 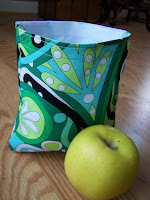 This week Naturally Felt will be giving the winner a set of reusable snack/sandwich bags! If you upload your project to SCS or PCP please use keyword EIC40. Now go be EtsyInspired! Great job Kerry! Come play the challenge everyone! I am going shopping on Naturally Felt later... they have too many cute things! This is one inspiring Etsy Shop. How cool...Naturally Felt. Here's mine - there's actually two there!! I might actually go shopping there! Love the shop!! What an ADORABLE shop - Love it! What great bags, thanks for the wonderful inspiration!!! This was a cute challenge---thanks! I was inspired by the dino bag.